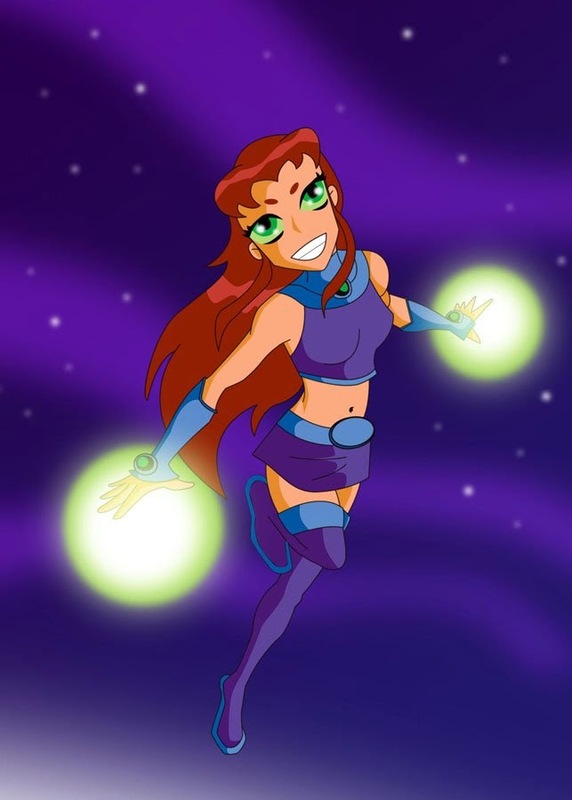 Why Starfire is Awesome! | TWINSANITY! She’s a space alien. Alien babes are awesome by default. She has the strength of 8 humans. That’s more than the starting lineup of a basketball team. She comes from a race which has the natural ability to fly. Take that, R. Kelly! She can really put away the mustard. She’s a princess. Princesses are hot right now. She was captured and pumped full of solar energy by the Psions, but instead of it killing her, it gave her the power to fire blasts of energy from her hands. Sweeeet! She once nearly came to blows with Wonder Woman! Despite her not actually possessing them, that takes balls! As a result of impending puberty, she gained the ability to fire starbolt energy from her eyes, as opposed to just gaining a face full of zits. She can instantly ‘absorb’ languages just by epidermal contact, usually by kissing. Who wouldn’t want to master French just by Frenching a hottie? Her powers are fueled by her emotions. I’d be in touch with my feelings too, if they gave me freakin’ super powers! To comic readers of a certain age, Silverstar, that be the “real” Starfire, as introduced in 1980 by Marv Wolfman & George Perez (New Teen Titans). She literally fell for Robin straight away. Of course, I happen to be partial to another hot alien babe who was partially modeled after Marie Osmond……….